Oki Iced Tea with active hemp extract. 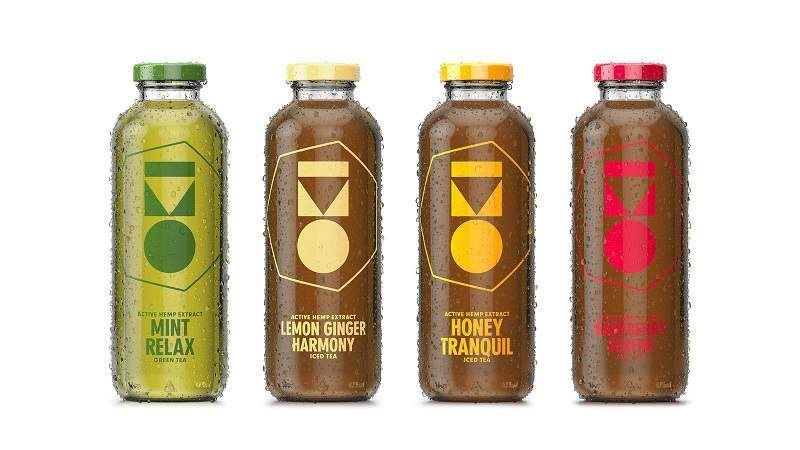 Credit: CNW Group/Phivida Holdings Inc.
Canada’s beverages and clinical products maker Phivida has launched its new line of functional beverages and supplements. Called Oki, the range features iced tea and flavour-infused water beverages that are both infused with 10mg of active hemp extract. These new products will be available to consumers in nearly 2,400 natural speciality outlets across the US in four flavours. The Oki range also includes supplements, which are available in tinctures or capsules that range in hemp extract doses from 600mg to 1,800mg. Phivida president and CEO Jim Bailey said: “We created the Oki line as a powerful new offering that restores balance and focus to our everyday lives when we need it most, whether during recovery from a workout or getting ready for the day ahead. The company claims that all its products contain non-genetically modified organisms (GMO) and are plant-based and vegan-friendly. They are packaged in recyclable glass containers. Distribution is planned for a broad range of retailers through an exclusive national agreement with Natural Specialty Sales (NSS). NSS’s network includes some of the major retail banners such as Whole Foods Market, Sprouts Farmers Market and National Co-op Grocers. The Oki line is currently sold in the US market.